Alan H. Pollack has litigated patent and other intellectual property disputes from inception through trial and subsequent appeal. Mr. Pollack's areas of practice include numerous electronic and electrical matters, but have also spanned a wide range of technologies including patents for making pizza to patents on brain surgery devices. Mr. Pollack has also focused on analysis of cryptographic systems employed in varying patent contexts including cable television delivery systems, smart cards, and digital radio broadcasting systems. He currently concentrates on patent infringement litigation of pharmaceutical patents in ANDA cases. 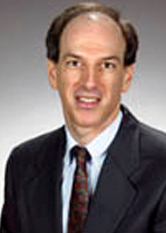 Mr. Pollack has also worked extensively for several semiconductor chip manufacturers in connection with patent and copyright litigation. The technologies involved in these semiconductor cases include DSP chip architecture, CODECs, ΔΣ Modulation, Sense Amplifier circuitry, modulo addressing schemes, and the manufacture of refractory metal silicide semiconductor devices. Mr. Pollack has litigated patents concerning video games, CRT touch screens, ultrasound devices, balloon angioplasty/brachytherapy equipment and procedures, hip prostheses, orthodontal brackets, steam turbines, and pumps for toxic chemicals. In addition of patent litigation, Mr. Pollack has also litigated trademark, trade secret and copyright disputes. Mr. Pollack has also counseled clients concerning patent issues in connection with IPOs and corporate purchase decisions. He has written several opinions of non-infringement and prosecuted patent matters. Mr. Pollack's experience also includes arbitration and mediation. He has also lectured for several years concerning service marks. Before coming to intellectual property law, Mr. Pollack practiced general litigation for three years, and focused on product liability defense of manufacturers of automobiles, motorcycles, jet skis, ATVs and other vehicles. In addition, Mr. Pollack litigated a complex "engineering malpractice" matter concerning nuclear power plant construction. He has written software, in connection with patent analysis and otherwise.